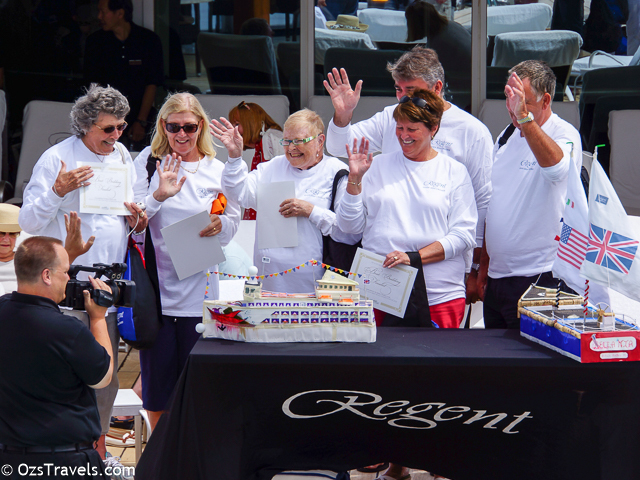 A tradition on Regent Panama Canal Transits (apparently) is the Guest Vessel Building Competition, I did not participate, did not know anyone when the competition started, so missed out. 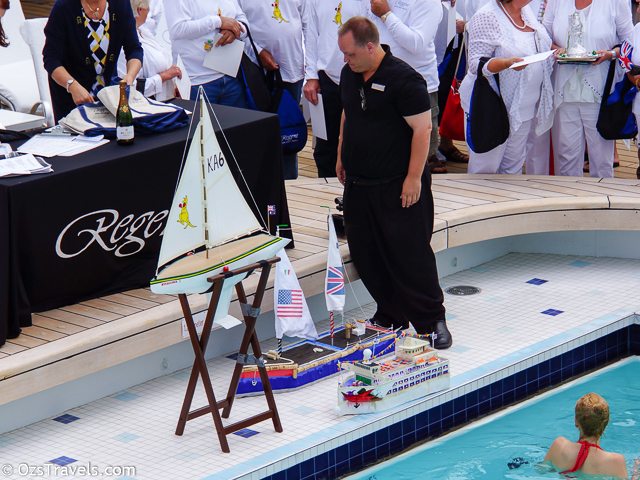 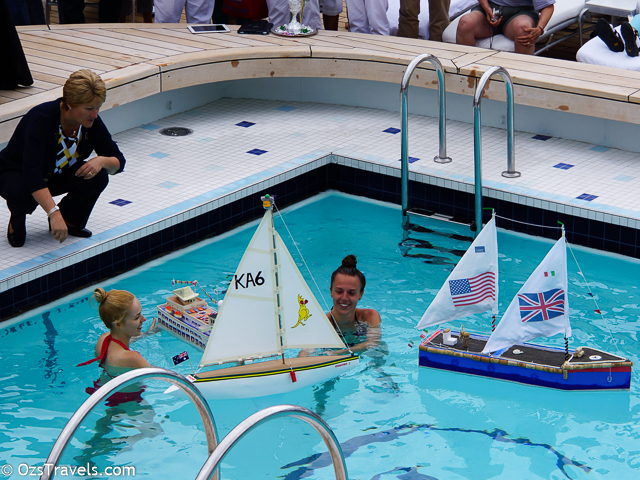 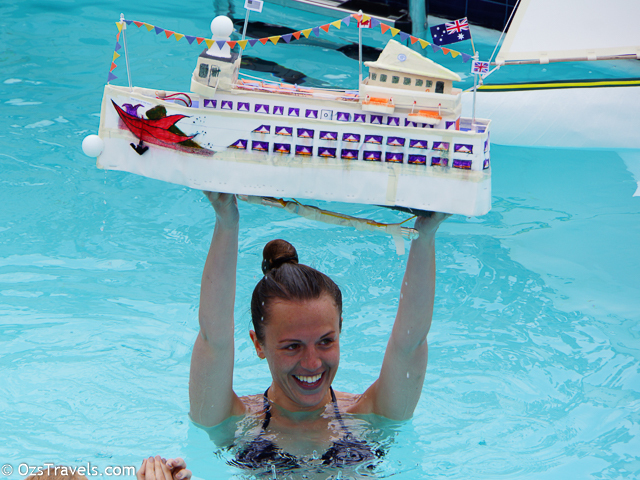 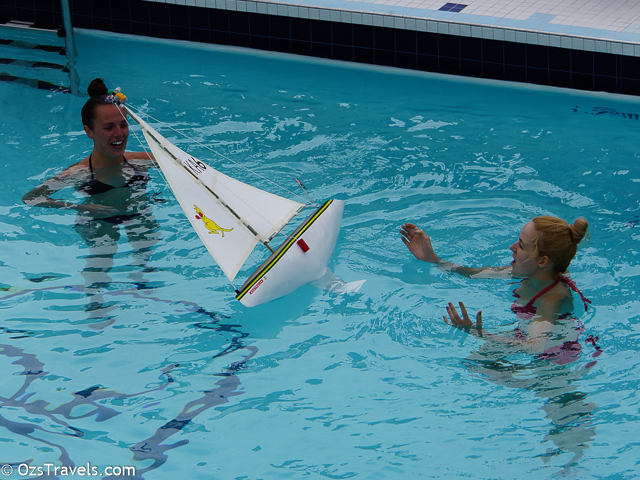 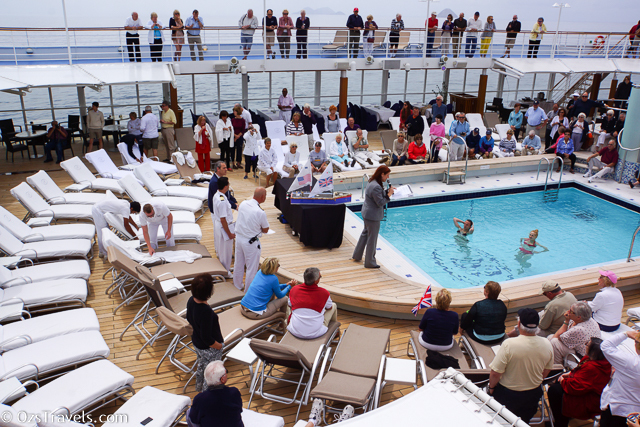 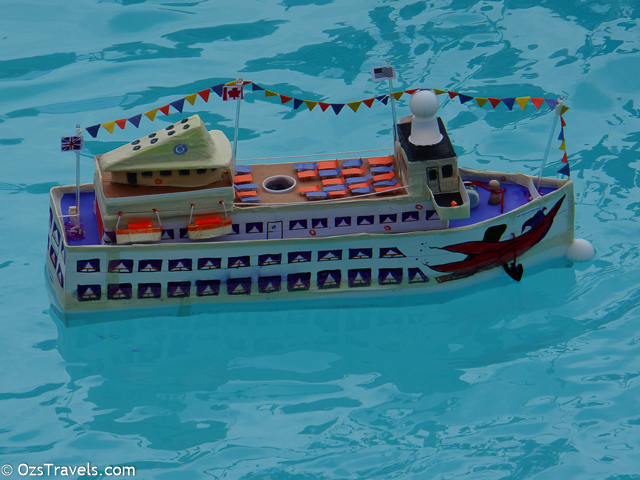 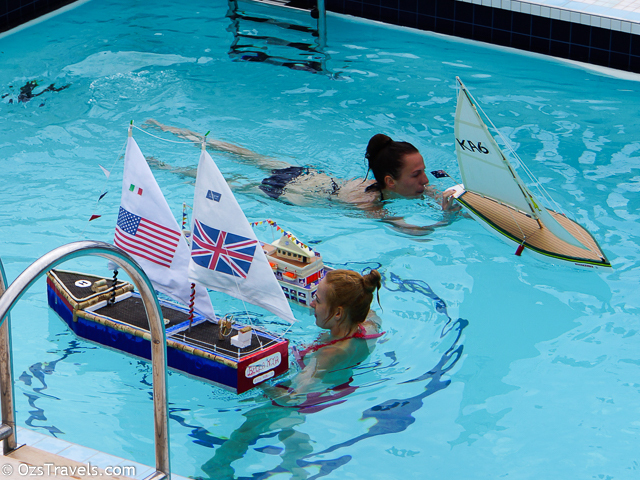 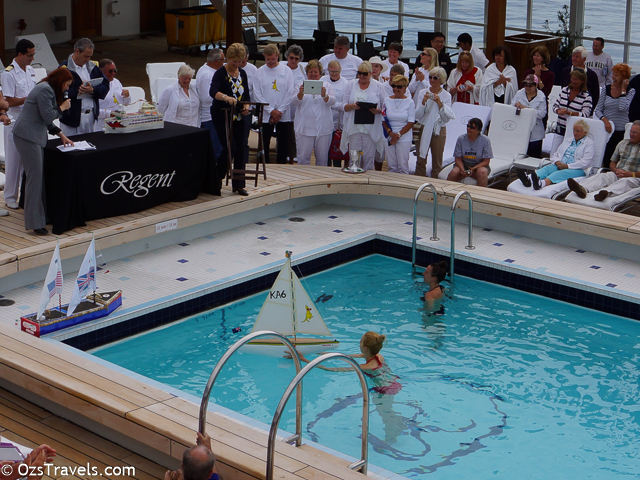 Teams of guests get together to build, using only materials that they have on board or purchase during the cruise (although I am not sure how “legal” that is), a vessel that is sea worthy (well pool worthy). 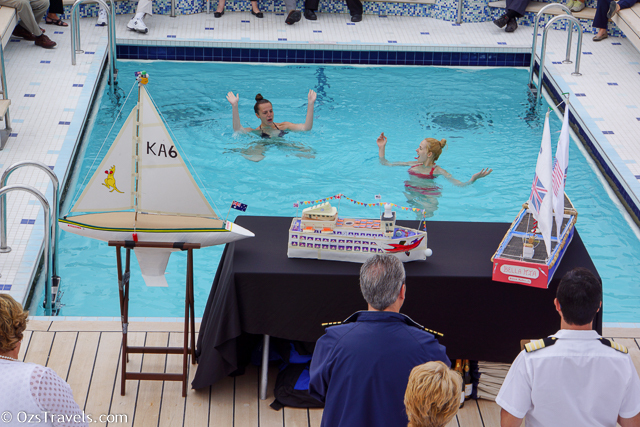 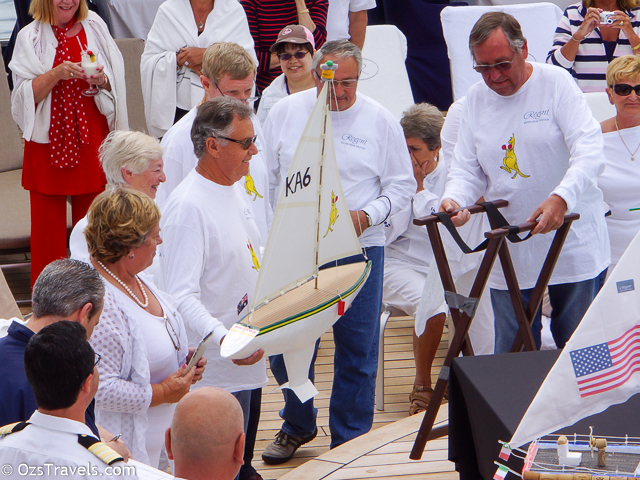 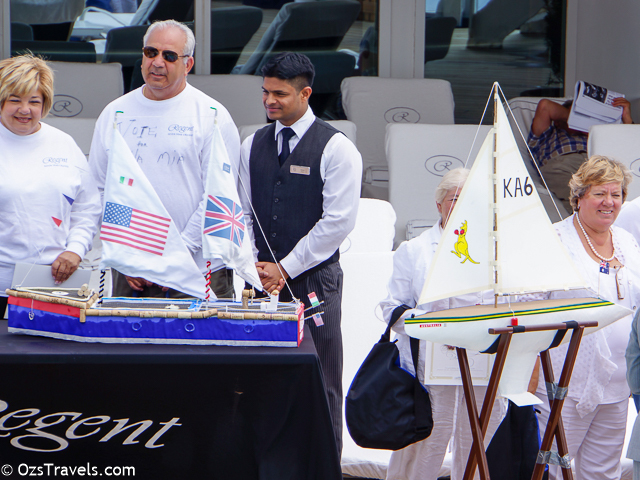 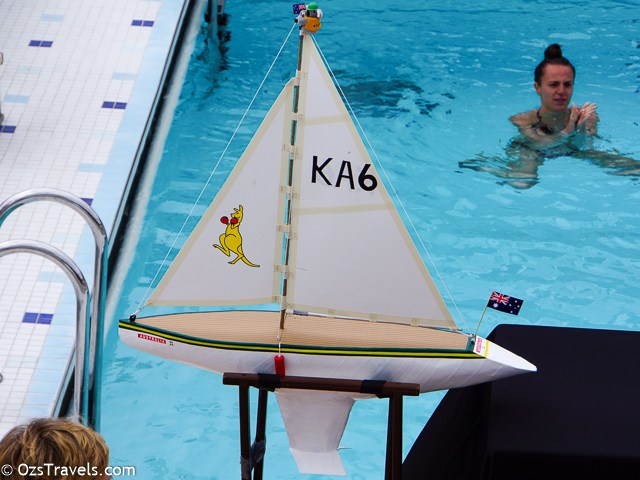 On this cruise there were three teams that completed their vessels and submitted them for judging by the Captain and the Chief Engineer after passing the sea worthiness test. 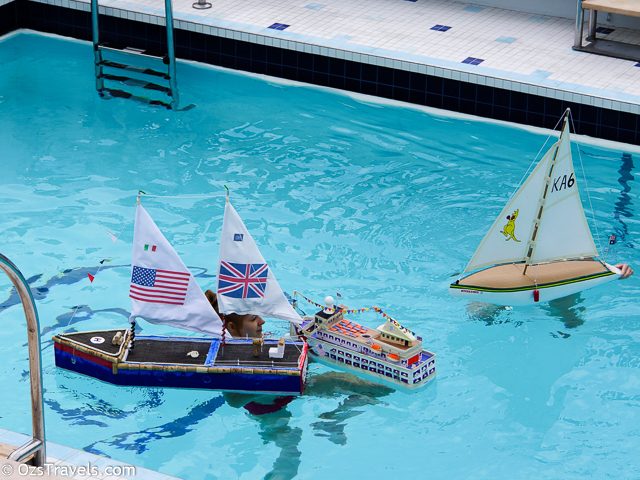 Please vote on which vessel you believe is the best. 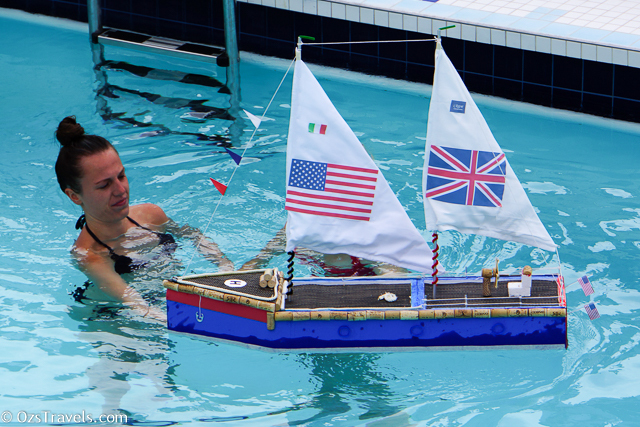 The materials used on board included paper-mache, cotton napkins, place mats from the Pool Bar, latex paint (acquired from the crew).